Proper muscle growth depends heavily on Human Growth Hormone levels in your body. If you want to boost HGH production naturally then there's no better way than eating foods that increase it. Find out exactly which type of foods you must have in your diet to increase your growth hormone. Secreted by the pituitary gland, in the base area of our brain, HGH or human growth hormone holds the key to our growth during our childhood years, and assists in both maintenance and optimum functioning of our body tissues and organs throughout our lives. However, the speed at which our body produces HGH slows down as we age. HGH production can also decrease owing to dietary deficiencies and/or medical disorders. Although no food items directly consist of HGH but including certain types of food items in your daily diet can stimulate your body and make it produce more amounts of this hormone. Essentially, you should be eating low-glycemic, GABA-rich and high-protein foods to increase growth hormone production naturally. Brimming with various vital nutrients, including 22 minerals, 18 different types of amino acids, several essential vitamins and fatty acids, Goji Berries are precisely what you need to stimulate the production of human growth hormone in your body. Sesquiterpenoids, a special phytonutrient in Goji Berries instructs the pineal gland to produce more amounts of HGH. These berries also have large quantities of L-glutamine and L-arginine in them, which spikes up the HGH production too. Research carried out at the Department of Physiology in Louisiana State University proves that consuming even 2 g of food items rich in amino acid glutamine, for instance, yogurt, is good enough to trigger an increase in the HGH levels. 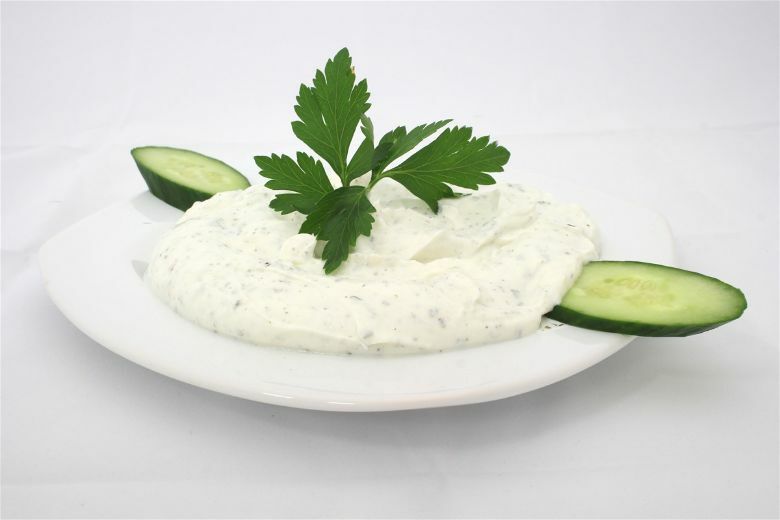 The research further revealed that the best time to consume yogurt for HGH purposes is after dinner. When looking to consume yogurt specifically for HGH increase, you should go with organic and unpasteurized variety, as it consists of plenty of L glutamine. Research has revealed that consuming pineapple before hitting the sack at night helps increase the HGH levels in the body. This is because pineapple consists of various substances that aid easy release of melatonin and serotonin during sleep (which stimulates the HGH production). Not just that, eating pineapple on a regular basis also boosts the body’s testosterone levels. In fact, Journal of Clinical Endocrinology or JCE has endorsed pineapple as one of the top means of increasing HGH, recommending it to be eaten before bedtime. Counted amongst the best natural HGH foods by many dietary experts, fava beans also have high amounts of L-dopa in them that significantly boosts dopamine and testosterone levels in the body. Fava beans are also rich in selenium, magnesium, zinc, vitamin B6, thiamine, copper, vitamin K, and potassium. Furthermore, being a variety of beans, they serve as an excellent source of proteins too. Proven by scientific studies to raise the HGH levels continuously for up to 4 hours, you can include coconut oil in both your post as well as pre-workout shakes at a proportion of around 1 g per kilogram of your body weight (as per Journal of Endocrinology). Coconut oil’s effect on your growth hormone levels starts showing as quickly as 30 to 90 minutes after its usage. 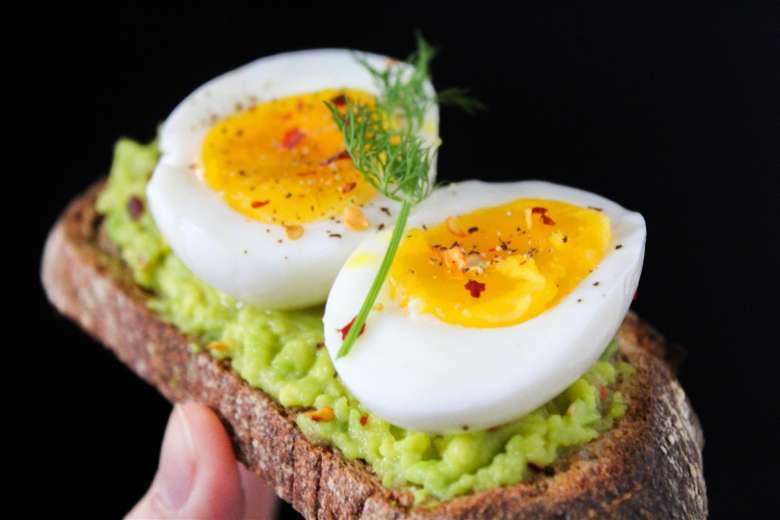 Eggs contain high amounts of GABA or gamma-aminobutyric acid which is well known to stimulate the pituitary gland for better production of HGH. GABA has another important benefit that it serves as a neurotransmitter capable of blocking nerve impulses, thereby having a calming and relaxing effect on the body, working as a painkiller. Among different types of eggs, it’s the organic eggs that are most difficult to ignore for their testosterone-boosting properties. They have significantly large amounts of growth factors like vitamin K, E, D, A, B, growth peptides, DHA, EPA and much more. Not only are raspberries full of vitamins and delicious to eat, but they also have growth enhancers in them which are rich in melatonin. Foods that are rich in melatonin can spike up the body’s HGH release by as much as 157%. Grass-fed beef is counted in the superfoods category as it contains carnitine, coenzyme Q 10 and various bioactive amino acids, all of which are important for people wanting massive gains in their growth hormone levels. It comprises of amino acids like L Arginine, L Glutamine, L Ornithine and L Valine, all of which indirectly work towards spiking up the HGH levels. 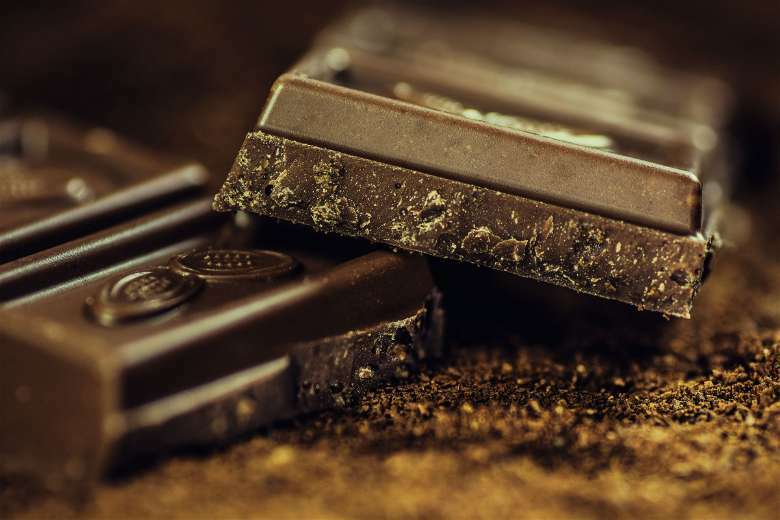 People who love eating chocolates would be glad to know that eating this variety of it (referred to as raw cacao) can go a long way in raising the HGH and testosterone production in the body. Raw chocolate has high amounts of tryptophan in it, which is responsible for stimulating the pituitary gland, and making it release more amounts of dopamine, serotonin, and endorphin. This results in improved stamina and increased production of human growth hormone. Getting ample amounts of sound sleep also helps in HGH production and chocolate helps in that department too. However, as mentioned, it is the raw chocolate (cacao) that we’re talking about here and hence you must have it in this form only, to make the most of it. Known to be extremely rich in L Citrulline, a type of amino acid which gets broken down to arginine, watermelon has a direct impact on increasing the HGH production. Parmesan is a type of organic cheese created from raw milk. It has large amounts of growth-inducing peptides in it. All types of real cheeses have a major benefit concerning HGH production in a way that they all have bioavailable proteins. Although most people may not be comfortable with the idea of eating raw foods, particularly seafood, the reality is that raw fish offers many significant health benefits. 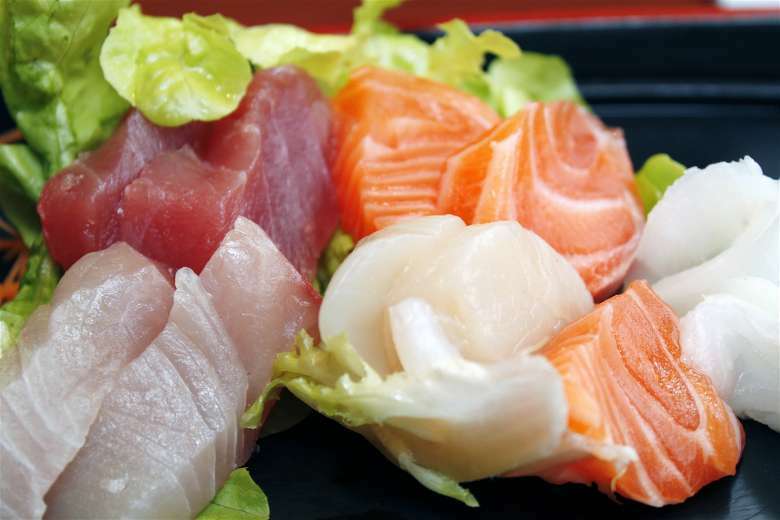 For instance, regularly eating sashimi, tempura and sushi can provide your body with necessary omega-3 fatty acids that not just boost HGH levels, they also help in improving blood circulation and reducing the risk of heart diseases. Raw fish has many important minerals and vitamins as well, including RDA and vitamin D. In fact, consuming one serving of salmon sashimi (100g) provides your body with 271% of your daily vitamin D requirement. Raw nuts have high amounts of L arginine amino acid in them, which aids natural production of HGH in the body. The HGH spike caused by L-arginine also aids lowering of the body’s total fat level. Few other nut varieties that are known to have high amounts of L-arginine in them are walnuts, peanuts, and Brazil nuts. Not to be outdone by the other dry fruits, raisins also consists of high amounts of L-arginine in them. Apart from that, they also have an inherent ability to boost testosterone production in the body, because of their high boron content. Research has proven that regular consumption of protein increases the HGH production in the body. Although that shouldn’t come as a surprise because whey is all about growth-enhancing amino acids, which stimulate muscle growth, it’s important that you opt for non-denatured whey, that doesn’t have any fillers like aspartame, acesulfame or sweeteners. You can have as many gelatin desserts as you want without the feeling of guilt ever creeping in, as they have loads of L glutamine in them. As mentioned number of times, L glutamine is an important amino acid which enhances HGH growth. Among the algae, it is Chlorella and Spirulina that work exceedingly well towards increasing the human growth hormone production in the body. Known to have the ability of directly boosting the body’s nitric oxide and testosterone levels, beets aren’t too bad when it comes to HGH production too. It’s an alkaline-based food which is excellent for maintaining body’s pH levels and aids in balancing the overall hormone levels. Counted amongst the most popular fruit items, this one is another highly alkaline food item that helps tremendously in HGH production. This one’s a type of milk that’s produced by cows after they give birth to calves. This milk contains various nutritious elements that support aggressive life growth, including the production of peptides and amino acids which stimulate overall growth of the body. If you look closely you’d observe that raw milk and eggs were actually the staples of bodybuilders of the old times. You can easily incorporate them into your daily diet whenever you wish to get into the anabolic mode. 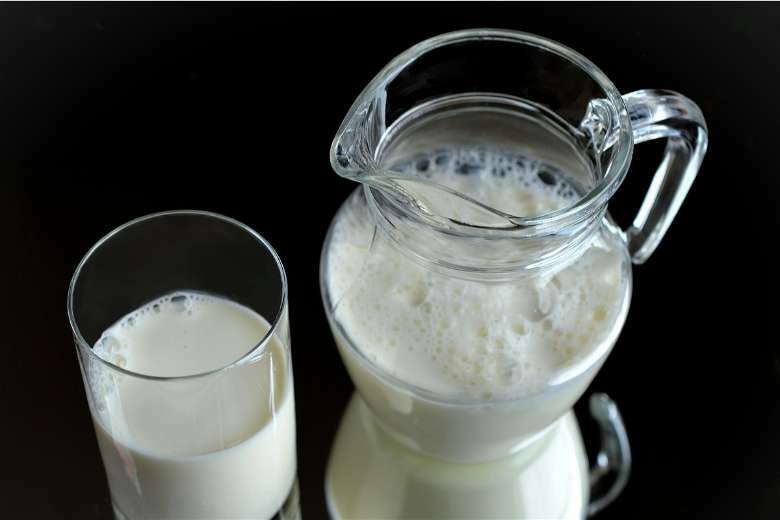 Studies have shown that raw milk consists of various compounds that can significantly boost growth hormone production. It shouldn’t come as a surprise that natural spring water too, stimulates the production of testosterone and HGH. It primarily makes sure that the hormone system of your body works efficiently, round the clock. Organic chicken has high amounts of amino acid glycine in it. Scientific studies have proven that glycine does contribute to the boost of growth hormone levels. Although researchers have known about the usage of glycine for increasing the muscle strength for a very long time, now they’ve confirmed that it happens because of its direct impact on the HGH. While you can create a well-thought out diet plan and include above detailed food items to naturally increase HGH production in your body, there are other safe and quick ways to do the same, without the risk of any harmful side effects. We are talking about safe, natural and highly effective HGH supplements that are a must-try for anyone who doesn’t have the means for, time to or inclination towards experimenting with food habits. I was fortunate to read one of your updates that talked about HGH in details. I was wondering what variety of foods can help boost this growth hormone, I’m glad I got to this particular post. Thanks for sharing.